On West 181st Street we found a pedestrian foot bridge over the Henry Hudson Parkway, and we knew we were finally headed in the "right general direction." The experience of being on foot over the highway was a new one for the kids (ages 7 and 5), so we spent some time enjoying the excitement of the fast moving cars below us. Then moving onward across to Fort Washington Park and the winding path downhill, it was at this point that I knew the children would sleep well that night, a side benefit of physical activity. As we moved south, we looked up to discover interesting views of the bridge through the trees. I found the contrast between the graceful natural lines of the trees and the steel latticework of beams and structural elements of "the big grey bridge" to be a visual treat in and of itself. The downward path turned again and we were walking under the Parkway, and then, over another small bridge. By now, the children were getting tired, and I had to remind them what an exciting adventure we were on. We were now directly under the George Washington Bridge; we could see all the way across to New Jersey, and the Palisades. They, however, only wanted to know where the Little Red Lighthouse was. Finally after one last sweeping right turn, there it was; bright red in the sunlight, and smaller than I thought, but just the right size to amaze and delight the children. As I posed them with the lighthouse and the bridge behind them as a souvenir photo of the day, I was approached by a policeman who advised me that due to security concerns it was no longer permissible to photograph the underside of the George Washington Bridge. I felt like Clark Griswold in the movie "Vacation," at the threshold of a great achievement but unable to enter Wally World. Instead of kidnapping the policeman a la Chevy Chase, we settled for a southwestern view that included the police vehicle, and started the trek back up the hill. 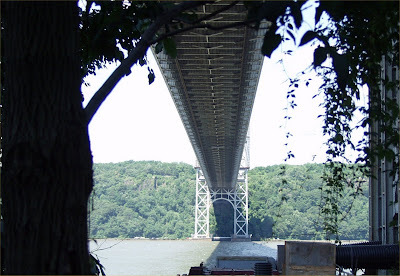 The kids were exhausted when we reached the 181st Street side of the foot bridge, so I piled them into the car for the return trip home; saving my other idea - an exciting walk across the George Washington Bridge and back - for another time. Address to Remember: The Little Red Lighthouse, Fort Washington Park, 178th Street and the Henry Hudson Parkway, New York, NY 10033, dial 311 and ask for the Urban Park Ranger. All seven of the Lighthouses along the Hudson River are great fun to explore, click here to learn more about them. Directions: From Times Square MTA A to 175th Street. Follow directions above to the Lighthouse. Under the George Washington Bridge? There is nothing like a visit from one's grandchildren to push your creative day planning skills into hyper mode. We’ve done all the playgrounds within a three mile radius, as well as museums and zoos in the outlying boroughs. They now wanted something different; actually, we all wanted something different. I cannot recall which Internet link I followed, but I arrived at a site that gave me information about seven lighthouses that once guided ships up the Hudson River (the seven do not include the Statue of Liberty, possibly the best known beacon for harbor bound sailors in the world). It would take a whole day’s activity to visit them all, as they stretch up the river as far north as Hudson-Athens, but there’s one really famous one right here in New York City. The Little Red Lighthouse sits under and slightly south of the George Washington Bridge, on a little bump in the west side of Manhattan. I presume the bump is the source of the light’s formal name: the Jeffrey's Hook Light. It was built in 1920, 10 years before the bridge was completed, and it was the second lighthouse to be erected on the site. The bridge, when opened however, rendered the small beacon “unnecessary,” and it was deactivated in 1947. Before the light was turned out, the Jeffrey's Hook Lighthouse was immortalized in Hildegarde H. Swift’s book The Little Red Lighthouse and the Great Gray Bridge. Millions of children who came to love the little lighthouse after reading the now timeless classic, created a public outcry at the plan to destroy it. Eventually, it was saved, and ultimately gifted to the City of New York. 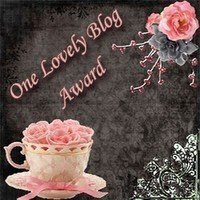 So I had my objective, and our day planned. Since I thought I knew how to find the bridge, we headed out. It didn’t occur to me that a landmark whose photographs clearly show to be on the south side of the bridge, could not be approached from the south. But no matter; we were on an adventure of discovery. After we found the streets of Washington Heights south of the bridge, a helpful woman with a baby carriage suggested we try the other side because "there was no lighthouse here!" It was true; the Henry Hudson Parkway and the other approaches to the bridge blocked every street we started down; with enthusiasm still running high, we decided to head north. 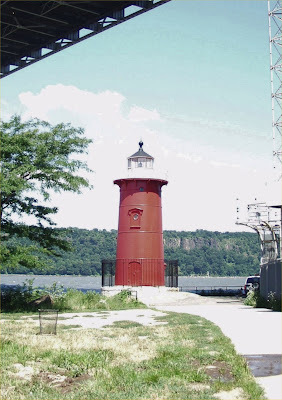 Address to Remember: The Little Red Lighthouse, Fort Washington Park, 178th Street and the Henry Hudson Parkway, New York, NY 10033, dial 311 and ask for the Urban Park Ranger.